3) Texans love Texas…Like really really love. I kinda dig it. 4) Armadillos stink as roadkill. Like really truly smell. 6) I learned a pole dance move…beer was involved. 7) Laughing with an old friend is a pretty great thing. 10) I think I would always go with the forty-four. As you can guess, I was in Texas last week. 80 degree weather, blue skies, warm breezes Texas. I got a bit of an extension to my summer. It was pretty fantasterrific y’all. But now that I am back in Cleveland, it’s back the normal grind. 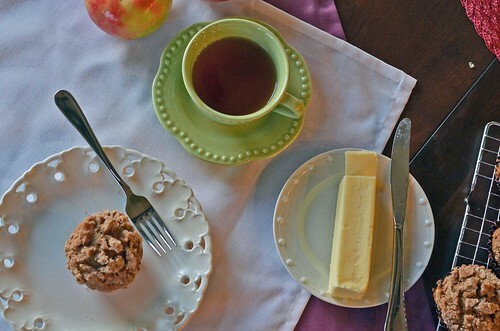 Baking, work, and blogging must resume. Kinda sorta in that order. First up, muffins. Oh, and I think I need to buy rain boots, a rain coat, a canoe, and oars too …it hasn’t stopped raining since I reentered the state! 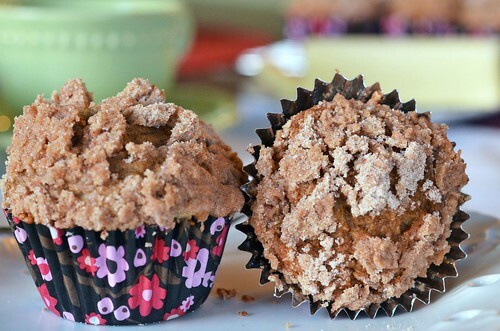 Apple Cider Muffins or they could be called Apple Cinnamon Streusel Muffins…I can’t decide. 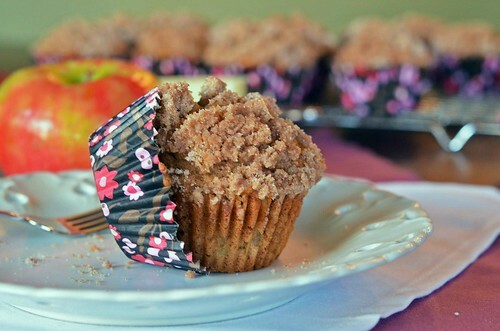 How about Cinnamon Apple Cider Streusel Muffins…that sounds a bit ridiculous. So, right up my alley. These are good and hearty. Chock full of cinnamon and apples, with a hefty dose of crunchy streusel. Seriously, you can’t go wrong with these. Promise. Bring apple cider to boil and cook until the liquid has reduced to about 3/4 Cup. Set aside and let cool a bit. Preheat oven to 375°F and prepare muffin pans. Combine all streusel ingredients and mix with a fork. It will be coarse and butter should be in pea sized pieces. Sift together flour, sugars (brown and white), baking powder, baking soda, salt, cinnamon, and ginger. Set aside. In a medium bowl, whisk together vanilla, egg, apple butter, apple cider reduction, buttermilk, and vegetable oil. In another small bowl, toss diced apple pieces in 2 tbsp of flour. Pour liquid mixture into the dry ingredients and stir just until combined. DO NOT OVER MIX! 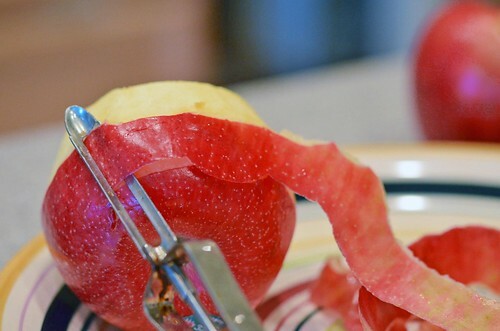 Fold in the diced apple pieces. Scoop batter into lined muffin tins. Fill each cup about 2/3rds of the way full. Place one teaspoonful of streusel atop each and slightly press down. Bake in preheated oven for about 20 minutes or until toothpick comes out clean. Remove from oven and let cool for 5 to 10 minutes before removing from muffin pan and then let cool on wire rack completely before enjoying.